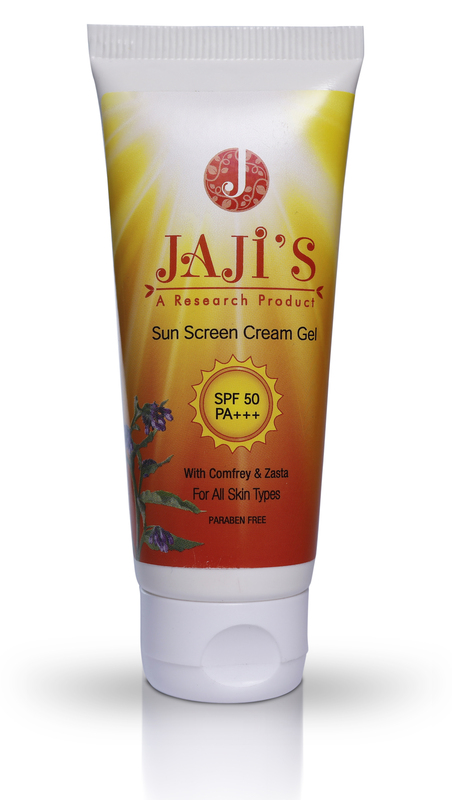 The goodness of Comfrey and Zesta in this cream gel protects skin from harmful UVA/UVB rays of the sun. The blend of natural ingredients acts as a barrier and prevents from tanning, pigmentation, as well as from premature ageing of skin. This cream is gel based and non-greasy in texture. It is also a powerful anti-oxidant. This cream is suitable for all skin types and stays for longer duration of time. Apply it liberally on face, neck, feet, hands and all exposed areas before stepping out in the sun or heat. Apply it liberally on face, neck, feet & hands a few minutes before stepping out in the Sun or heat.